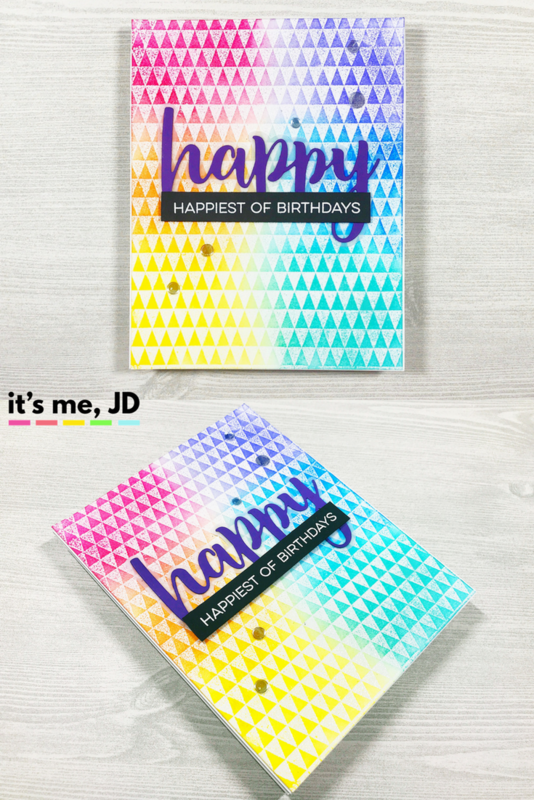 This fabulous rainbow birthday cards uses some of my favorite ink colors, and was super duper easy to put together. 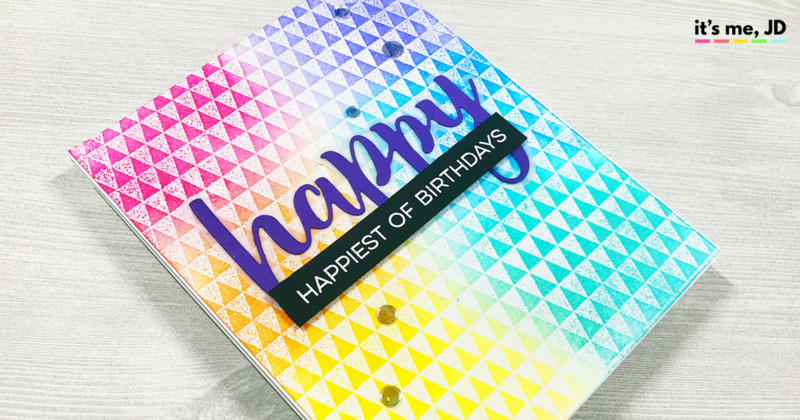 I first heat embossed this fun triangle background in clear embossing powder. 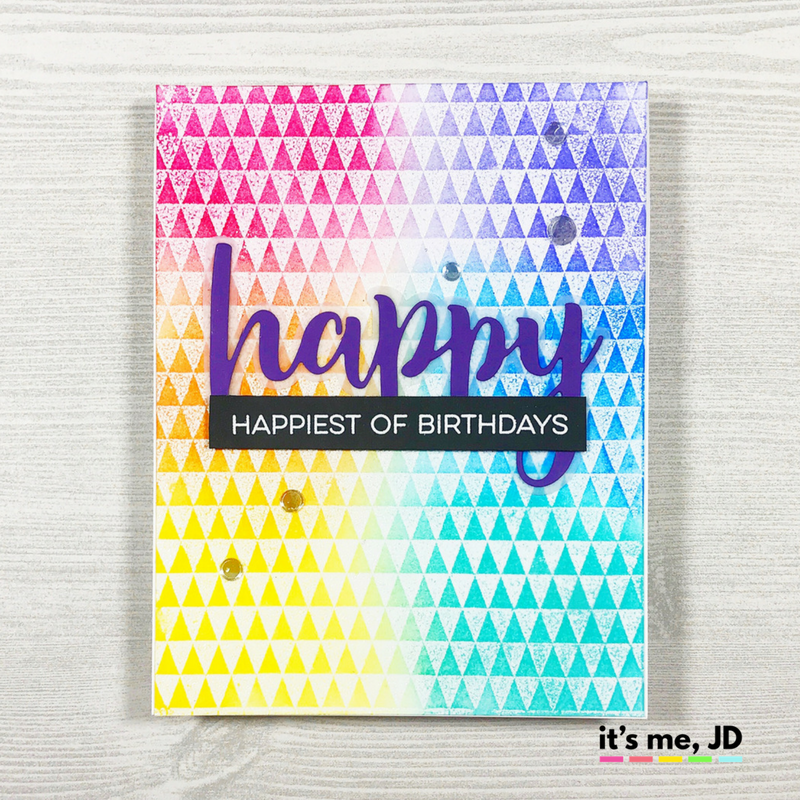 Then I used Gina K ink cubes to blend on a beautiful rainbow. I tend to start with the lightest color because I want to avoid contaminating the ink pad or ink blending foam with other colors.